The past weekend was not about going to New York. But, it was what it was all about. Contrarily speaking, NY was what it was all about. Get it? I don't either, don't worry. About a month before the Iona meet, I told myself, "I will not like New York City." You can say that I was setting myself into this mindset only to play the role that I have somehow created for myself. So be it, a lot of people set themselves into a certain personality or role by believing a certain idea; in fact, all of us do in one way or another. This character that I have molded, Michael Owen, does not like cities. Plain and simple. The situation presented some upsides: 1. Raced a great course and solid competition and 2. saw a new culture. Over 30 hours on a bus is not my typical way of spending a three days. All the while, with that said, I would choose no other people to spend 30 hours on a bus with. I have some pretty cool teammates and friends that I get to chill with. The city is a jungle and in this case I am not a "jungle" man. This meet brought a particular notice to our schedule. It is ran on the championship course in Van Cortlandt Park in the Bronx (not as bad as people claim). It always brings good competition from eastern D1 schools and some decent mid-west schools. We were the only NAIA school that competed this year. My strategy was to go out relaxed. It was a very subjective term but I knew if I kept a conscious effort to stay relaxed I could run a solid race. I also wanted to have a few of my teammates surrounding me during the first mile. So, that is what happened. 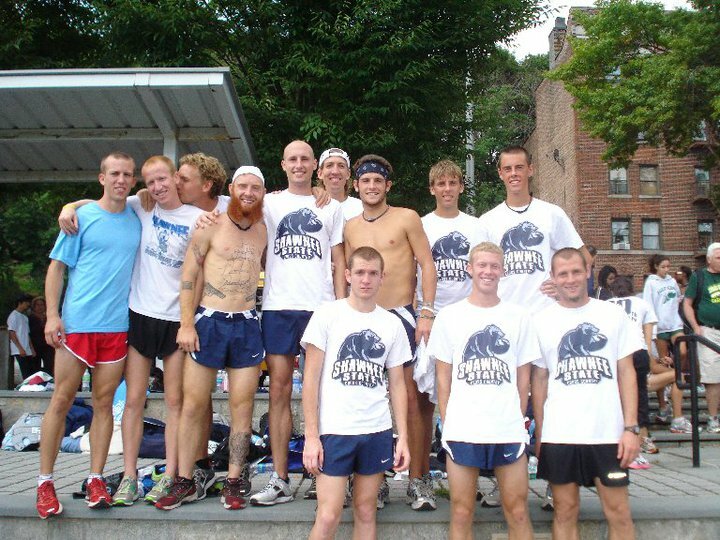 I went out relaxed and during the first mile I was right beside Keegan, Galen, Linkous, and Wysocki. The first mile was around 4:48-4:50. That entire first mile, and then some, was ran around the main field to be followed by a crushed gravel path through the woods. Once we got into the wooded section, I passed people. A lot of people. It felt amazing. Before I knew it I was in the top 15 of the race. I really cannot explain much further than this besides that I just kept running. There was no eureka moment in the race where I found a groove or any moment when I felt bad. I just kept running, maintaining pace, and finished hard. I ended up PR'ing at 25:32 and getting 12th place overall. As for the course, it was fabulous. I will go ahead and say this was my favorite course I have ran on (besides Hangover and our home course). It was challenging with sections dubbed as "cemetery hill" and the "backhills." The team ran good. Keegan, coming off a couple of weeks of sickness, ran 26:07. 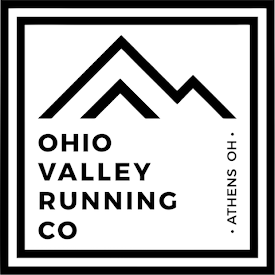 Linkous 26:15, Galen 26:23, Bradley 26:24, Wysocki 26:44, Schroeder 27:04, Chuck and Reece 27:15, and Jeremy Anderson to round out the top ten at 27:33. We got 9th place overall. The standings were very close from 1st to 10th! AM: 6 miles (44:17). Up Fire Tower hill. PM: 12 miles (1:18:25). 5 x 1 mile workout on the course. Felt solid on this run and consider it one of my better workouts of my career. Eased into all of these. AM: 8 miles (59:00). Morning run with the team. I added on 3 miles extra on the floodwall. PM: 11 miles (1:19:40). Ran separate with Reece and Wysocki on the flood wall and the gravel path behind it. I added on a couple barefoot miles on the turf with sprint drills and simulated starts. AM: 10 miles (1:15:00). Up to the Fire Tower and around the trails out at the house. PM: 10 miles (1:08:00). Went to the course for a 2k at race pace. Did a long cool down and got a nice day of mileage in. PM: 12 miles (1:28:15). Felt rough throughout this run. The previous 4 days were pretty long. Did fell a lot better to get barefoot for a couple miles. PM: 2 miles (15:15). Ran this just because I knew it was going to be a good run. Headlamping. PM: 6 miles (46:00). After 15 hours in the bus to New York, I was finally able to get out and run some. Ended up running more than I planned even. AM: 12 miles (1:17:32). 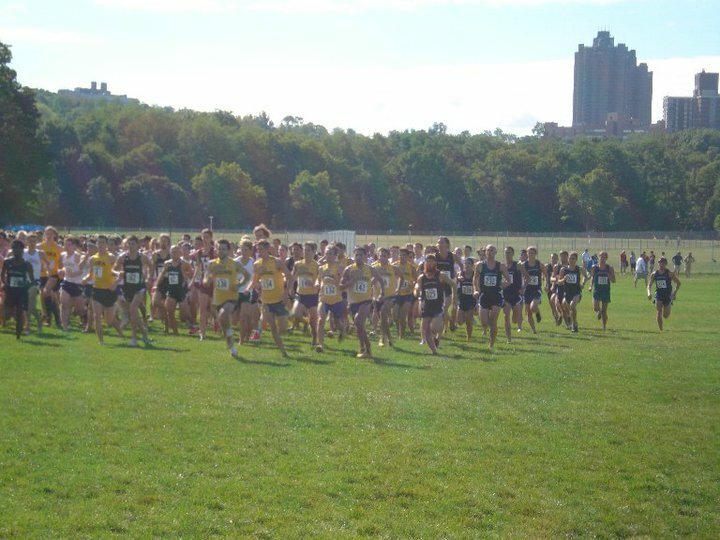 Iona Meet of Champions + 7 miles wu/cd. Read above! AM: 14 miles (1:40:00). Woke up early and ran 4 miles, then 10 more with Erock, Paul, and Holbrook. For being sore from walking in NYC the night before, this run felt great. Groin Pains and Bye Bye "Real All-Ohio"